A professional web presence can take a brand to heights business owners never thought possible, and it all starts with your website! METHODIC delivers high quality website design and development by following tried and true methods, or what we in the industry like to call best practices. We consult each web production client to ensure their business needs are met while making sure that their website performs at a high level. All of our websites are developed on WordPress, an industry leading CMS, so you can be sure that your website will be top of the line. Whether you are looking for a simple brochure website or a powerful eCommerce machine, METHODIC has the methods to the madness. 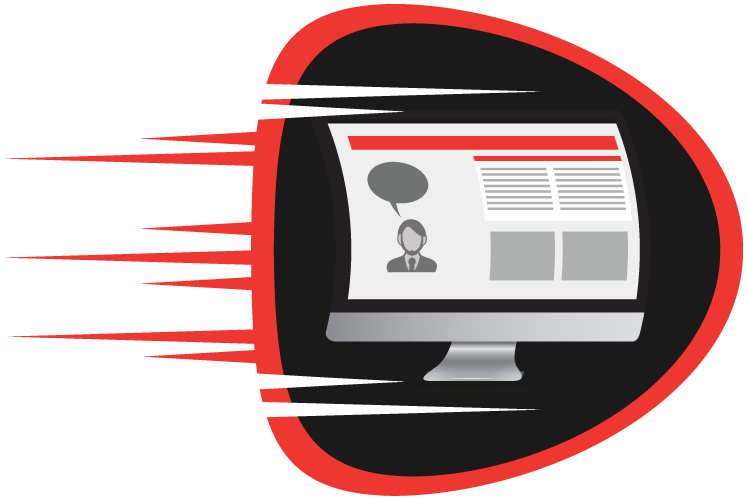 Whether you are a business owner lacking the budget for a custom build, or just like to get your hands dirty; our rapid websites are the perfect solution for you. These websites are extremely affordable and ridiculously fast and easy to setup. Rapid websites are built on high quality, premium WordPress themes so you can be sure you are not sacrificing quality. Each theme comes with a custom content outline tailor made for your website; you’ll never have to worry about writing too much or too little content. 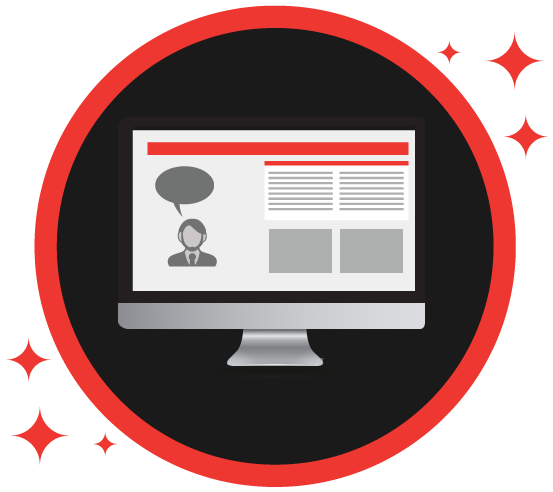 METHODIC makes it simple for you to build your own website! Our custom websites are for any business owner looking for a professional website and a team of experts they can rely on. We follow a transparent and inclusive design & development process to deliver a high quality user experience while also ensuring that your brand is represented just how you want. With this option, business owners can take advantage of custom module integrations for robust website functionality. All of our websites are developed on WordPress, an industry leading CMS, so you can be sure your website can compete with the best! 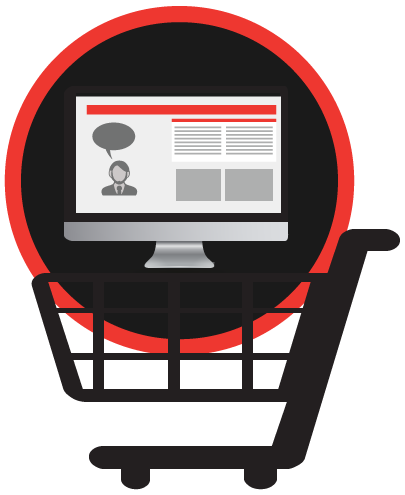 Business owners looking for a professional website that also includes an eCommerce solution should look no further than the Advanced Website. These websites are produced by following METHODIC’s transparent and inclusive design & development process to deliver a website that is simple and intuitive for your customers to operate. Because this website allows for the ability to utilize eCommerce, business owners can take advantage of advanced module integrations such as user groups, shipping integration, and much more! During this phase we coordinate with the business owner to provide examples of website designs that they like. These samples will act as design inspiration for our design process. Skeletal wireframes help us layout of the foundation of the website. Wireframes will establish a website’s structure, content areas, and calls to action for all pages that will appear in the finished product. The website is brought to life during this phase of the design process. This is when we apply your brands color scheme, add photography & illustrations, as well as the tiny details that give your website a refined, professional look. During this stage we will be preparing our servers for hosting your development environment. Our development environment allows us to build out the foundation of our website while providing your access to view your website with any web browser, at any time. Once staging is complete we will provide you with your temporary domain name. This phase of the project is when we take the static visual mock-ups and translate them into a beautiful design on the web. We make sure that our website will be properly viewed on all devices. During this phase of the project we will connect all of the functionality of your website. All of your custom module integrations become active and usable during this phase as we prepare to launch the website. Your website is almost complete! This phase of the project is when you website is moved from our temporary staging environment to its permanent home. Once migration is complete, we will configure your DNS settings. DNS settings allow your brand new website to display when your customers type your website’s domain name into their browser. Give your site a final look over, test all functionality and view it on all devices to make sure everything is in order. This final review is critical to make sure everything is picture perfect and functional. This is the last review before your website is introduced to the world!